Hello again from Kerem 15! This week has been so crazy in all of the best ways. 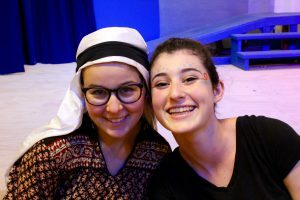 We performed our Kerem play, Aladdin (twice! ), we placed third at Zimriyah, and we aided the camp with the transition into second session. To go in order, I’ll start with the play. While I will be the first to tell you that the hours and hours of practice and rehearsal leading up to the play were less than thrilling, the play itself was more fun than I ever could have imagined. Our first production was during the afternoon peulot (activity) – after lunch – and only for Gurim. It went mostly smoothly, and the younger campers seemed to really enjoy the show, including the unintentional bloopers. 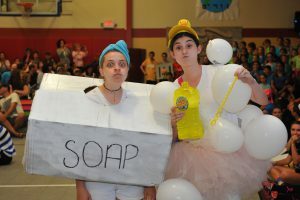 The second show was during peulat erev (evening activity) – after dinner – and was for all of the other campers. This second performance was definitely the more memorable of the two. One great point of amusement came from the struggles with the magic carpet. There were four dancers designated to be the magic carpet, which they did by dragging a large ladder/staircase around the stage. However, I can only imagine that this ladder was originally meant to paint high-up surfaces, because it was built w ith a mechanism that locks the wheels when there is a weight on it. Now imagine trying to move it, locked wheels and all, with Jasmine and Aladdin on it. It refused to move, causing great amusement. 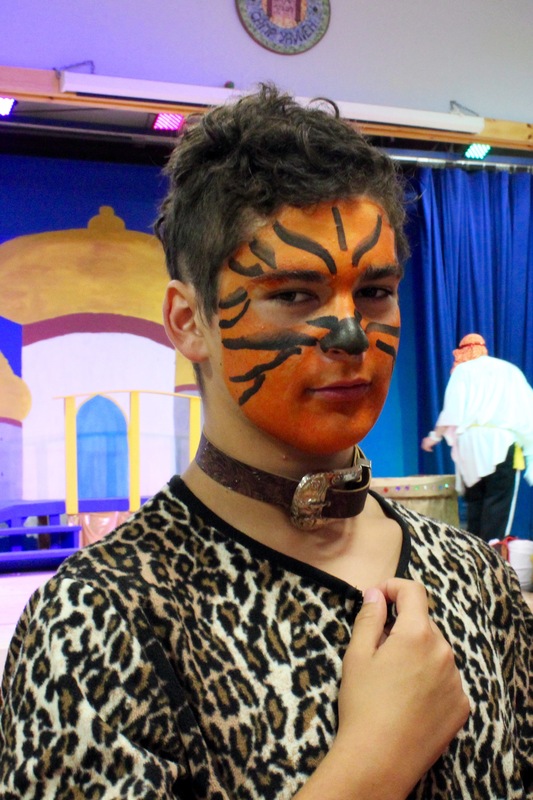 The overall play was a huge hit, with staff and campers alike telling us that it was one of the funniest, most entertaining Kerem plays in a while. The next big event of our week was Zimriyah. We placed first in shir chasidi (religious song), second in shir aydah (unit song), and we (controversially) didn’t place in shir Yisraeli (Israeli song). Overall, after singing our hearts out, we only scored third, a big achievement and disappointment all at once. However, our crushed hopes for a 3-peat were soon washed away by the amount of fun we had. After Zimriyah, all campers get ice cream at the chadar ochel (dining hall). Our ice cream time overlapped with Ma’alot’s; the winners of Zimriyah. While this could have fostered bitter feelings, we, as an aydah, didn’t let this happen. We sang, and we danced, and we partied right in front of them while they just sat and ate their ice cream. At one point, while the madrichim (counselors) were doing the special dance that they made just for us, the music was stopped – but this didn’t stop us! We kept singing and dancing, and I cannot even explain how amazingly close we felt as and aydah in that moment. I am proud to say that as an aydah, this was the best Zimriyah yet, and not because we did well – but because we made it a night to remember for the rest of our lives. Lastly, this past Sunday was visiting day. In the morning we had the Na’aleh meeting, which I think really spiked interest in the trip. For the afternoon, everybody split off with friends and family and headed to destinations such as Portsmouth, Wal-Mart, and the beach. It was both a happy (we got to see our families) and sad (How is camp already halfway done?!) occasion. We had to return to camp earlier than in previous years so we could help orchestrate the arrival of all of the second-monthers, just as we had helped welcome the first-monthers on their first day. It was hot and we were tired, but we pulled it off smoothly and without incident. We can’t wait to see what this new month of new chanichim (campers) and new activities will bring!